Welcome to Best Places Newsletter for Dec. 20. We here at Topretirements wish you and yours a very happy holiday season, however you celebrate it! The town has an impressive collection of well preserved Victorian downtown historic districts, with The Beaux-Arts Williamson County Courthouse (1911) as its centerpiece. The area is very popular with retirees, boasting a number of active communities including a Sun City. 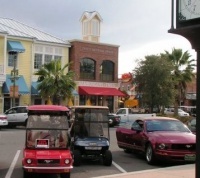 We get asked this question frequently - are there are other big active communities like The Villages? The answer is yes - we have 17 in our database. And almost 500 more that have 1000 or more residents. Here are some of the choices (Eastern U.S., with a link to Western). How Will the New Tax Bill Affect Retirees? The Republican tax bill is just about ready to be signed by Trump. So how will it affect you as a retiree? The answer, it all depends on things like where you live, whether you are on Medicare, and how much you make. Here is a quick reference, plus some links to calculators that will give you a headsup. 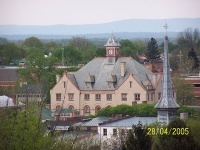 Winchester is a growing town of just over 25,000 in extreme northern Virginia. The nearby mountains and Shenandoah National Park are quite beautiful, yet it is not that far from Washington D.C. A college town, Winchester is home to the 3,400 students of Shenandoah University.